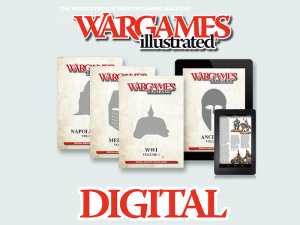 Wargames Illustrated continues to expand their digital archive of their magazine. We continue to expand our digital archive with the release of four new volumes. The Wargames Illustrated digital archive is a collection of digital magazines, designed specifically for iPad, Kindle Fire and Android tablets, which contain compiled (by period) articles from the last five years of Wargames Illustrated magazine. This latest release contains: Medieval volume 3, Colonial volume 5, Dark ages volume 3 and Horse & Musket volume 3. Each volume costs $2.99/£1.99 and is available from the Apple, Amazon and Android App stores. To view the full content list of these four new titles, and the other 23 volumes available, go to the website and click ‘Archive Volumes’.